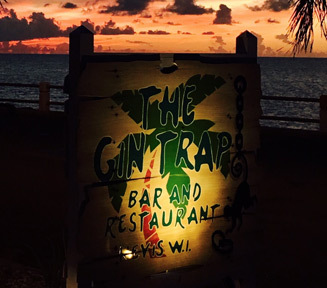 Our bartenders squeeze fresh juices each day to ensure that every drink served at the Gin Trap meets the highest expectations of all guests. 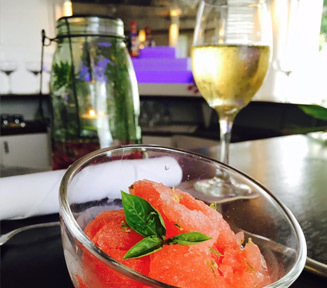 Frozen drinks mixed in our soundproof blender change seasonally with the available fresh fruits of the island. We have selected 101 varieties of gins to please the most discerning palates. No visit to our restaurant is complete without enjoying one of our signature cocktails, martini’s, gimlets etc. Wines have been purchased from around the world to complement the diverse menu items and daily specials. All posted prices are subject to 12% taxes and 10% service charge. Harking back to a time of simplicity and true craftsmanship we mix the once forgotten Peruvian Pisco with ginger syrup, lime juice and Angostura bitters. It is then served over ice with crystallised root ginger in a style designed to evolve over time, creating an ever changing imbibing experience. The house special. Simply amazing! Fresh strawberries with a hint of mint make this a crowd pleaser! Locally grown bananas mixed with our secret ingredient combine to create a refreshing favorite. Do not skip this one during mango season! 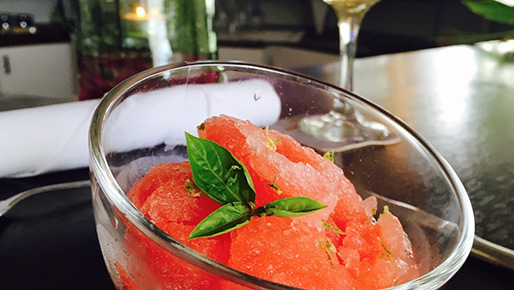 Limes are abundant in Nevis and make a delicious frozen drink! It says it all, just awesome! For a quick burst of energy! We are delighted to offer varieties of Gins from around the World, 101 in total! Choose from dry, dry citrus/floral, heavy floral, citrus, floral, spiced, aromatic, savoury/earthy, sweet, Navy strength, fruit gins, added and Genever. A large selection of House spirits & liquors as well as Premium spirits & liquors are available. A big, full-bodied bubbly, featuring graphite, toast, lemon and nut aromas and flavours. Balanced with an assertive finish. Fresh, crisp and clean with zesty flavours of ripe tropical fruits, especially passion fruit and pineapple with subtle hints of nettle. The wine has excellent presence and mouthfeel, with balanced acidity and a generous finish. This Pinot Grigio has a fresh, crisp character and is recommended as an aperitif or as an accompaniment to hor d’oeuvres, soup and seafood. Of a bright colour with pale yellow and green highlights, has a very fresh nose with nice aromas of white fruits. Round in the mouth, fresh almond notes are followed by a beautiful minerality on the finish. On the nose, the wine reveals notes of blackcurrent bud and mocha. The mouth is elegant and fruity with aromas of blackcurrent and cherry. On the big and bold side, this has abundant fruit flavours surrounded by equally abundant lip-smacking tannins, great acidity and a long finish. A big,full-bodied bubbly, featuring graphite, toast, lemon and nut aromas and flavours. Balanced with an assertive finish. A Champagne of pure pleasure and a sophisticated gastronomic wine, Cristal is both powerful and delicate, combining subtlety and precision. This light rose wine expresses some very intense aromas of citrus fruits and white flowers. It’s velvety mouth associated with its freshness gives it something very aerial. A wonderfully seductive rose, which is pale, dry and elegant, rich in flowery bouquet. With its beautiful aromatic intensity this rose is a true marriage of harmony, elegance and seduction. It would be hard to believe that there is anyone out there that would not enjoy the light strawberry, lemon, cherry, jasmine and other mouth-watering flavours in this bottle. Fresh, crisp and clean with zesty flavours of ripe tropical fruits, especially passion fruit and pineapple with subtle hints of nettle. The wine has excellent prescience and mouthfeel, with balanced acidity and a generous finish. Fantastic vibrant Sauvignon with luscious lemon and lime notes, hint of grapefruit and a flint like mineral its alongside herbaceous nuances. Well balanced acidity, leading to a long, sustained citrus finish. From one of the Loire’s best producers, this refreshing Sauvignon Blanc is stunning! Great for something a little bit special if you are a Sauvignon Blanc fan, it is brilliant with smoked salmon. Drink it as an aperitif or with oysters, shellfish, fish, salads, artichokes, asparagus, goat cheese and Asian cuisines. This Pinot Grigio has a fresh,crisp character and is recommended as an aperitif or as an accompaniment to hors d’oeuvres, soup and seafood. The nose, intense and floral, reveals notes of honey and acacia. The mouth is ample with freshness and white flowers aromas. Nice minerality on the finish. The Orvieto Classico title is reserved exclusively for white wine, in sweet and dry styles, both of which can be found in standard and higher-quality ‘superiore’ variants. Made for everyday enjoyment, this wine features intense fruit flavours and balanced acidity. Discover why California UNOAKED Chardonnay is the best of the best. With the first sip flavour of vanilla, nutmeg and toasty caramel dance across the palate. Medium body, moderate acidity and a wonderfull9y long finish. Think Reislings are always sweet? Think again. Reislings from Alsace, like this classic, are often bone dry. This features aromas and flavours of lime juice, peach and mineral. The ultimate food wine. 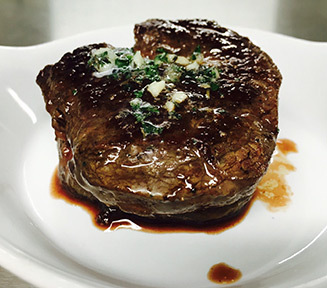 Pair with grilled shrimp and pesto pasta, or gourmet meats. The ultimate expression of what the noble Chardonnay grape is capable of on the region’s famous limestone slopes. The wine is perfumed, lively, clean and steely tasting with a crisp finish. It offers a floral nose with citronella hints. The mouth is fresh with a citrus touch and a nice minerality. On the nose, the wine reveals notes of black current bud and mocha. The mouth is elegant and fruity with aromas of black current and cherry. Light and sleek, with pretty toasted coconut notes weaving through the raspberry and watermelon flavours. Black cherry, vanilla and Earl Grey tea entertain the palate in a prolonged, pleasingly weighty dance. Tannin and acidity cooperate perfectly, offering seamless integration. This appealing wine offers classic Merlot aromas of ripe plum and red cherry, with hints of caramel, white pepper and graphite. The bold, dark fruit flavours of this full-bodied wine reveal why Paso Robles is an emerging region for producing delicious California Cabernet Sauvignon. Medium to dark ruby red in colour, this 2012 has beautiful aromatics of ripe cranberries and dark cherries with hints of vanilla oak and bergamot tea. Brilliant ruby red with a tendency to garnet. Ethereal, extraordinarily elegant with hints of violet and wood. Dry, harmonic, fruity and velvety, with an elegant texture and long finish. Spicy aromas lead to flavours of vanilla, cherry, fresh herb and mineral in this expressive red. Though oaky notes are prominent, there’s a core of focused fruit, and the light structure is fresh and balanced. This is an extremely alluring wine big, rich and somewhat games on the palate. Intense inky colour with violet reflections. The highly aromatic nose evidences a remarkable maturity of grapes with black fruit character combined to noble vanilla and toasted notes. Dark fruits, roasted herbs, vanilla. Medium-full bodied, good finish, seamless tannins. Just firing on all cylinders and a great QPR. Youthful and bright colour’ DUCKHORN Vineyards Sauvignon Blanc reveals pristine varietal character from start to finish. The wine displays crisp Fuji Apple, honeydew melon and a hint of cashew nut aromas and flavours. Delicate and racy, with typical aromas of Chablis white flowers, acacia and honey. Shows great elegance and finesse on the palate. The mouth is subtle with notes of almond and vanilla together with a discreet oaky touch. It has a lovely length on the finish. It is buttery and no less exotic in the mouth. The finish is far from austere and the wine continues to improve for up to ten years after bottling. Beautiful. Lovely Amarone perfectly exudes the old style. Bright sun-dried berries give way to toasty oak and nuances of smoke and cigar box, leather and black tea. Highly structured wine full of persistence. The ripe soft tannins are perfectly balanced with the acidity, long pleasant and sapid afterwards. It’s full bodied, rich mouthfeel carries these flavours for a long, lingering finish that loves a good grilled steak, rack of lamb or roasted duck.